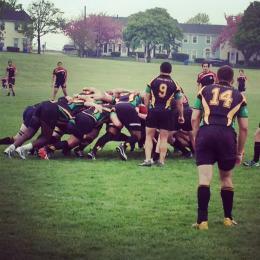 The positions still open after the NERFU Annual General Meeting were filled at the recent March Board Meeting. John Cochenour was appointed to fill the Men's Club Division 4 Director position and can be reached at john.cochenour@gmail.com. Jeff Sperling was elected to the board to fill th..
BOULDER, Colo. – The USA Rugby voted to adopt the IRB’s newest revision to the ongoing scrum engagement global trial: non-verbal communication to indicate to the scrumhalf when the ball can be placed into the scrum.Effective March 1 at all college and club matches, referees will discuss in the f..
Two top-level 7s clinics will be held in New England next month. 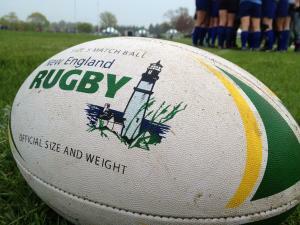 The Serevi Co-Ed Academy will be first up on March 1st and 2nd at Harvard University. 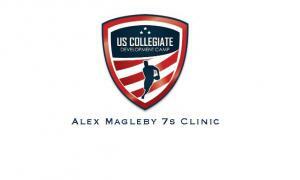 The following weekend (March 8th) features the Alex Magleby 7s Clinic at Dartmouth College. Details on both clinics follows:Serevi Co-Ed USA Rug..
Members of the the 2014-16 NERFU Board were elected at last week's AGM:President: Neil FoleySecretary: Open Position*Treasurer: Shannon WallaceExecutive Director of Clubs: Mike MartinMen Club Division I: Brett WillisMen Club Division II: Brad DufresneMen Club Division III: Bob WinchesterMen Club D..
7s Director - Job Specification If approved at the 2014 Annual General Meeting, the New England Rugby Football Union (NERFU) Geographical Union (GU) will add a 7s Director position to the list of board officers. 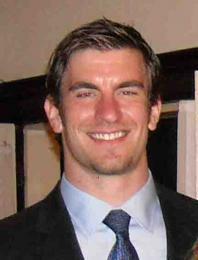 The 7s Director will support the development and organization of the Senior C..
Kyle Frederic Dandrow, of Marshfield, peacefully passed away on January 18th, 2014 at the age of 28. He was the beloved son of Robert V. and Cathy A. (Canon) Dandrow. He is survived by his parents, his brother Craig T. Dandrow and wife Dara A. Reppucci, his sister Renee M. Dandrow, his grandmo.. The agenda and by-laws have been posted by the Executive Committee for the 2014 NERFU Annual General Meeting. Clicking on the links below will allow you to view and download each document. The NERFU AGM will be held on February 8th in Worcester, MA at the DCU Center. The meeting will begin at 1.. The NERFU Board is looking for nominations for the 2014 Dr. Robert L. Laurence Award. 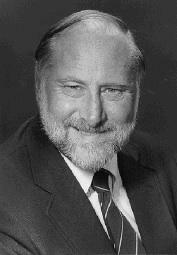 The Robert L. Laurence award was introduced to NERFU in 1999 by former Executive Director of Colleges, Christopher Fauske. Mr. Fauske's desire was to have the Union acknowledge a College Administrator for..
Dear NERFU Clubs, Happy New Year! We hope all of you had a nice Holiday and survived the storm. We would like to remind you that NERFU will hold its Annual General Meeting (AGM) at the DCU Center in Worcester on Saturday, February 8, 2014. The meeting will start promptly at 10am.&nbs..